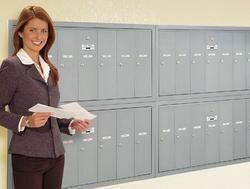 Our selection of manufacturers and the vast difference in what each offers is what makes Delta Mailboxes different from others. It is because of this that Delta is the most knowledgeable and experienced company nation-wide and allows us to offer unbiased recommendations. With the largest showroom on the west coast and our unparalleled knowledge our goal is to provide you the most comprehensive and current information about postal regulations, variety, styles and accessories on the market.